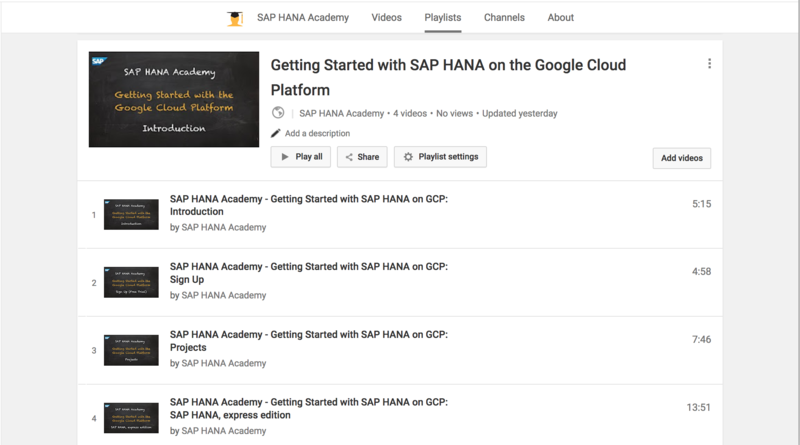 Getting Started with SAP HANA on the Google Cloud Platform. In this blog, I will provide the references and some background to the first four videos about how to get started. 1. What is a Cloud Platform? 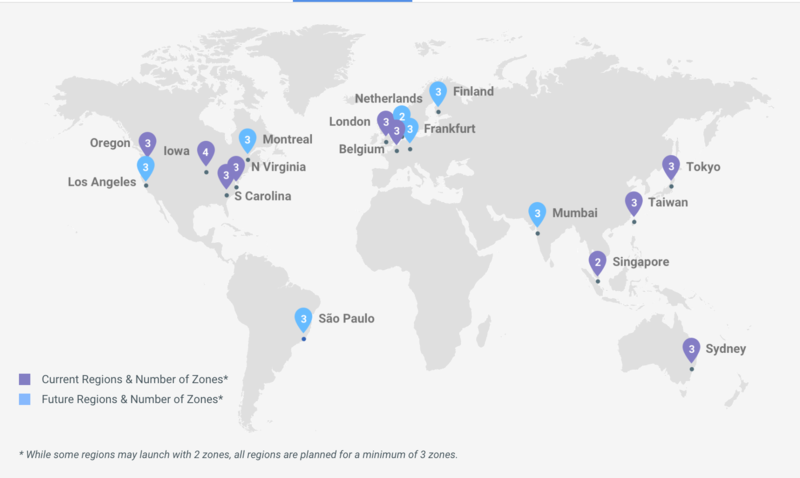 How GCP maps to Amazon Web Services (AWS) and Microsoft Azure is documented here: https://cloud.google.com/free/docs/what-makes-google-cloud-platform-different. To sign up, all that is needed is a Google account and a credit or debit card. Note that there is no autocharge after the free trial ends, no hidden costs, so no nasty surprises. The trial is valid for 12 months. For more information about projects, see https://cloud.google.com/docs/overview/ and How-to Guide, Creating and Managing Projects. Note that the free trial allows for the creation of 6 projects. When you shut down (delete) a project it is first archived for 30 days before final deletion. This means that you cannot create and delete too many projects too often but you will receive a warning when your quota runs out. 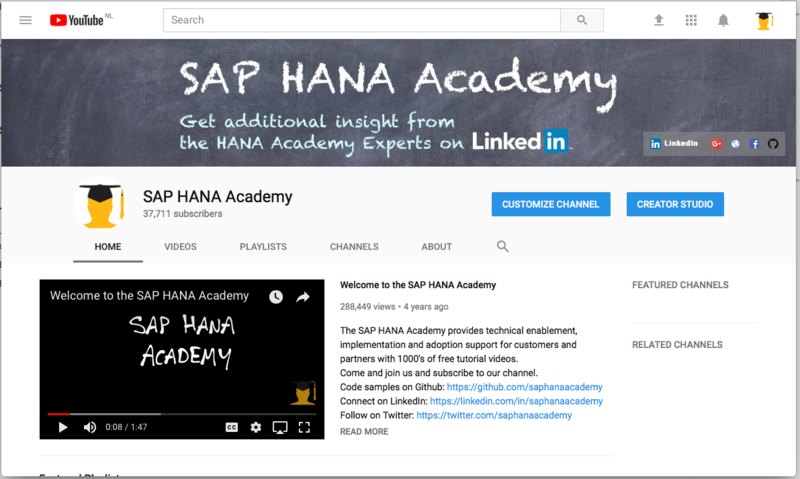 In the fourth video, we discuss the ins and outs of the SAP HANA, express edition Google Cloud Launcher solution provided by SAP. The other version concerns the server-only one. 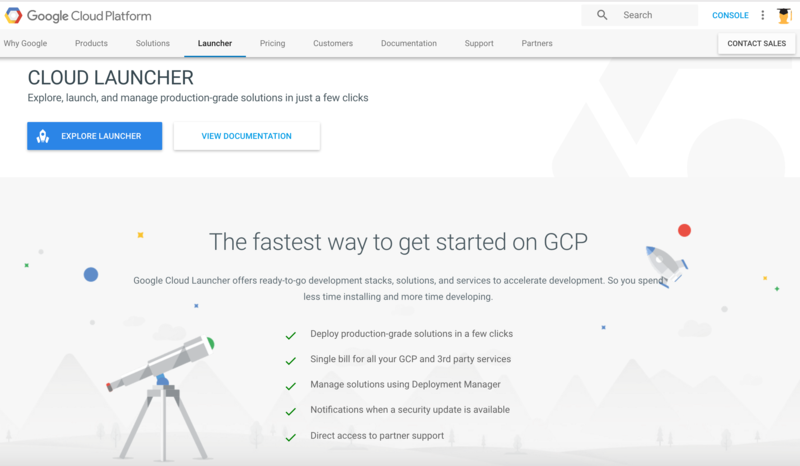 The Google Cloud Platform includes a marketplace for partner solutions, Google Cloud Launcher “so you spend less time installing and more time developing”. 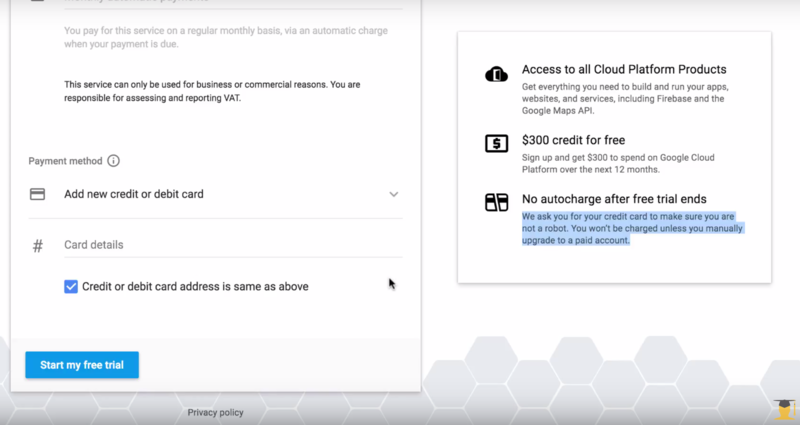 Similar to SAP’s own Cloud Appliance Library, a solution in GCP is a pre-configured system. 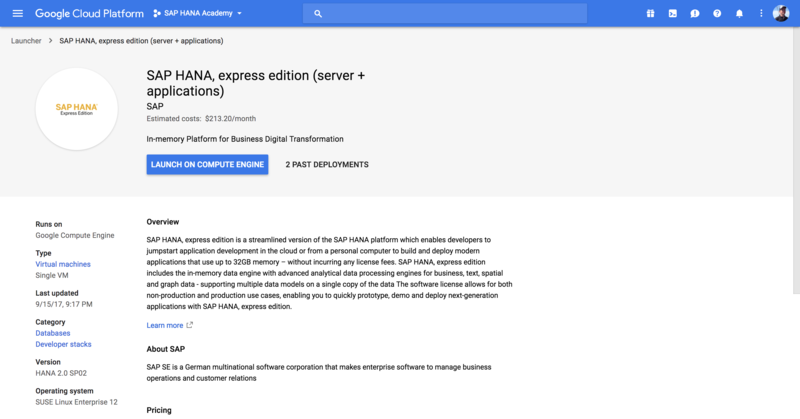 Note that GCP is not yet available as cloud provider on CAL, only Amazon Web Services (AWS) and Microsoft Azure.